Can you plan weddings South Africa? Of course, we have some of the most amazing venues all around our country. From mountains areas with wine farms galore in the Cape, to the Drakensberg in Kwa-Zulu Natal Midlands for the most amazing views and of course a safari wedding in the high veld or Kruger. 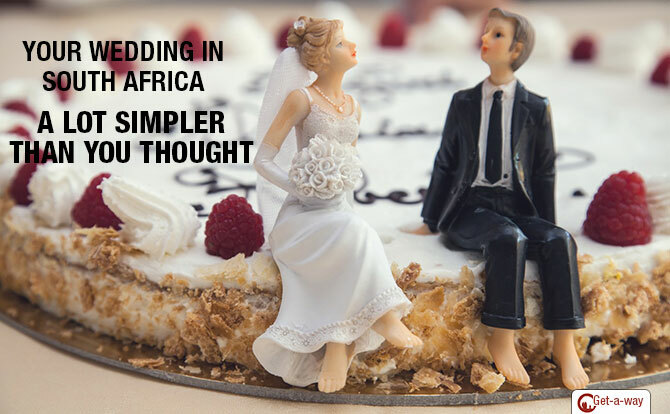 How do you find out where to start planning your wedding in SA? SAweddings.co.za is South Africa’s premier wedding guide, the ideal one-stop wedding guide where brides-to-be, industry professionals and wedding enthusiasts can browse for ideas, trends to find the information needed to plan a dream wedding. With an established wedding directory and 13 years’ experience in industry, the site is more than just a directory. SA weddings provide the perfect place to interact, communicate and plan with the correct suppliers you need to make your wedding day a relaxing and amazing event. – VENUES: Guest Accommodation, Spas, Wedding Chapels, Wedding Venues. – BRIDE Accessories: Bridal Boutiques, Bridal Fabrics, Bridal Shoes, Bridal Wear, Bridesmaids Wear, Dress Hire, Garters, Hair and Makeup, Health and Beauty, Hen and Pamper Parties, Image Consultants, Jewellery, Lingerie, Tiaras. – GROOM: Bachelor Parties, Grooming, Scottish Outfitters, Suits and Tailors, Wedding Bands. – PRE-WEDDING: Antenuptial Contracts, Dance Lessons, Financial Planning, Marriage Coach and Counselling, Marriage Officers, Master of Ceremonies, Personalized Website, Sand Ceremonies, Wedding Gift Registry, Wedding Stationery. – ON THE DAY: Bar Hire and Liquor, Candy Stations, Car Hire, Caterers, Confetti and White Doves, Decor, Flowers, Furniture Hire, Glassware, Hiring, Horse and Carriage Hire, Lanterns and Sky Lanterns, Tableware, Tents and Marquees, Wedding Cakes and Chocolate, Wedding Candles, Wedding Courses, Wedding Favours and Table Gifts, Wedding Planners, Wedding Stationery. – HONEYMOONS: Cruises, Direct Destinations, Travel Packages. – AUDIO – VISUALS – ENTERTAINMENT: Albums, Bagpipes, Bands, Classical Music, Photo & Videographers, Photo Booth, Photographers, Videographers, Wedding DJs, Wedding Music, Entertainment. Not sure where to start? Check out the SA wedding Inspiration page to see how the many other Bride and Grooms have made their special day into the positive memories to start their lives off together. And as the Beatles and Joe Cocker sang “I get by with a little help from my friends” … Time to plan a wedding in South Africa with a little help at SA weddings and Cabs Car hire to get your friends and family around.